Arlington Reducing washer of trade size 2-1/2-Inch x 3/4-Inch, is suitable for rigid/EMT conduits. 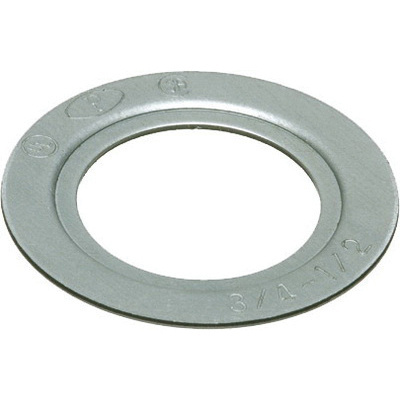 This 0.035-Inch thick washer features steel construction and plated finish. It has inside diameter of 1.06-inches and outside diameter of 3.265-inches. Washer is UL listed and CSA certified.